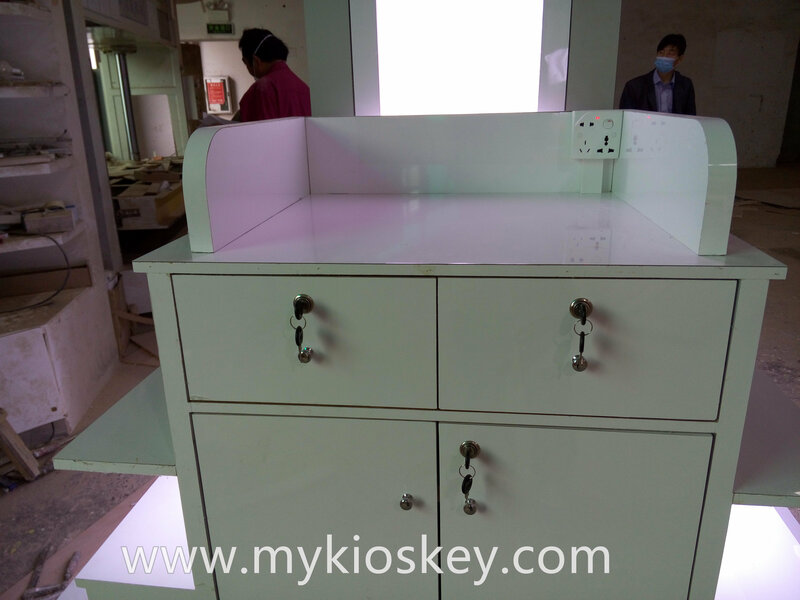 We are factory direct sale manufacture , provide custom kiosks ,manufacuture kiosks and arrange shipment for our oversea customers . 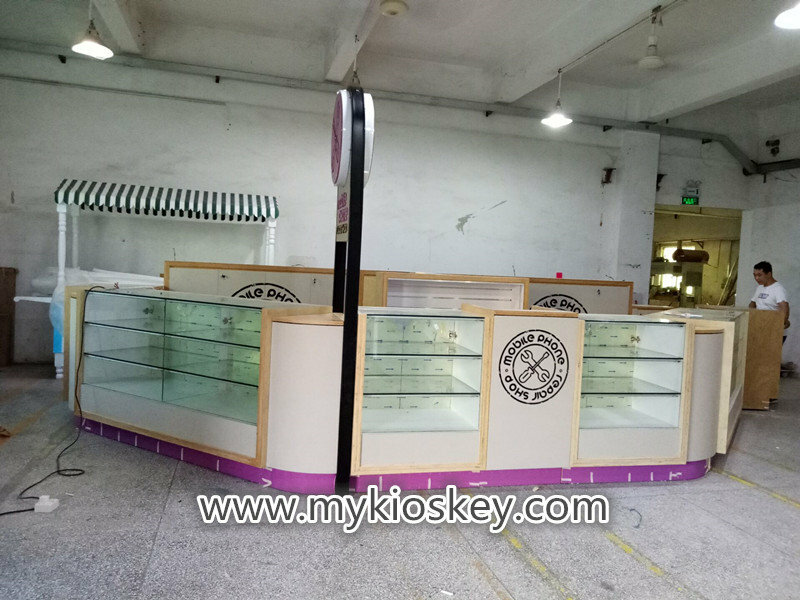 Mainly products are custom sunglass kiosk , food kiosks, cell phone kiosks, jewelry kiosks, cosmetic kiosks and other mall kiosks for customers all over the world . 2. 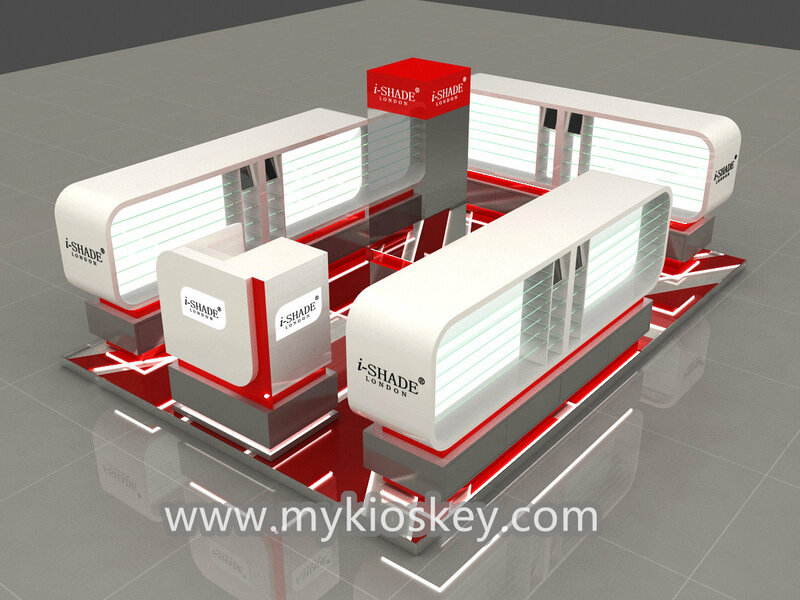 Below is one of the sunglass kiosk we made . -payment : T/T , western union , pay 50% deposit , 50% before shipping . 3. 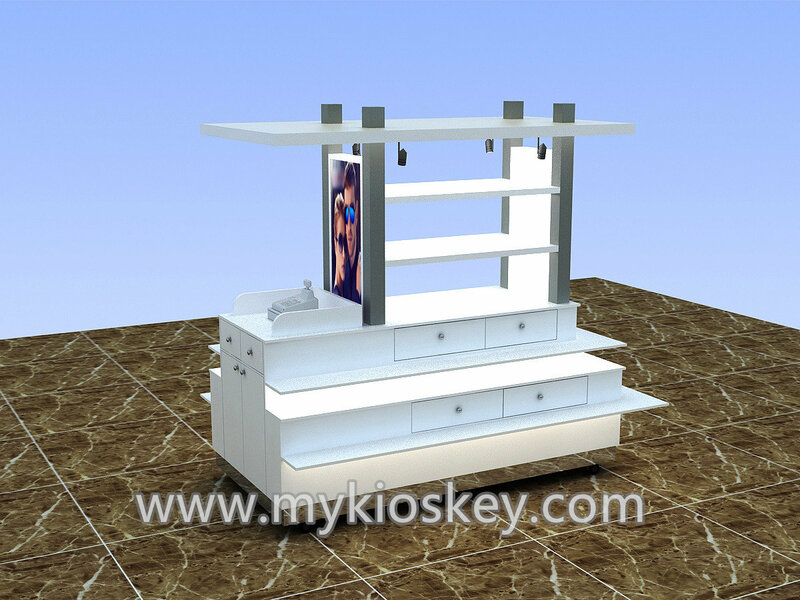 How can I custom my own sunglass kiosk ? 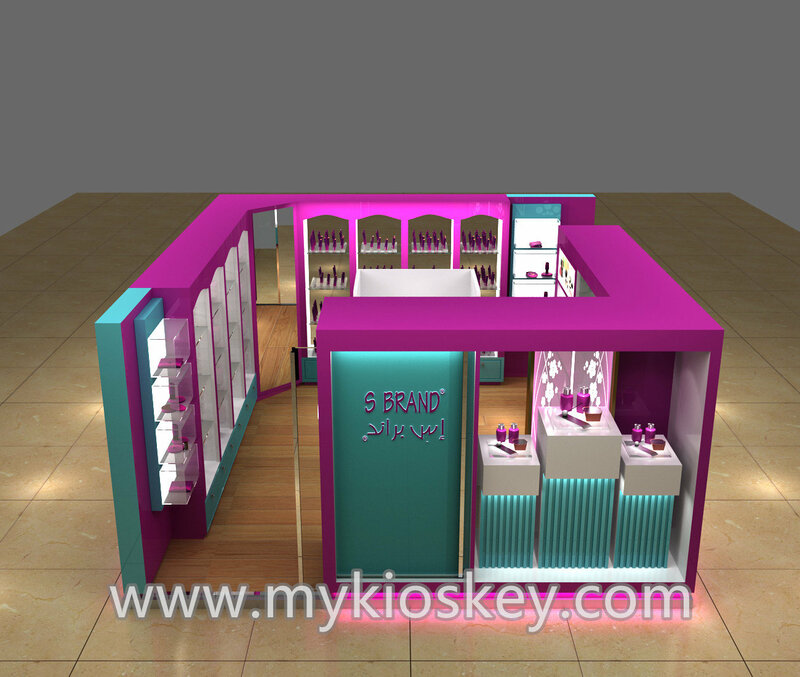 11- If you are VIP client, we can provide free design service after the initial order . 4. 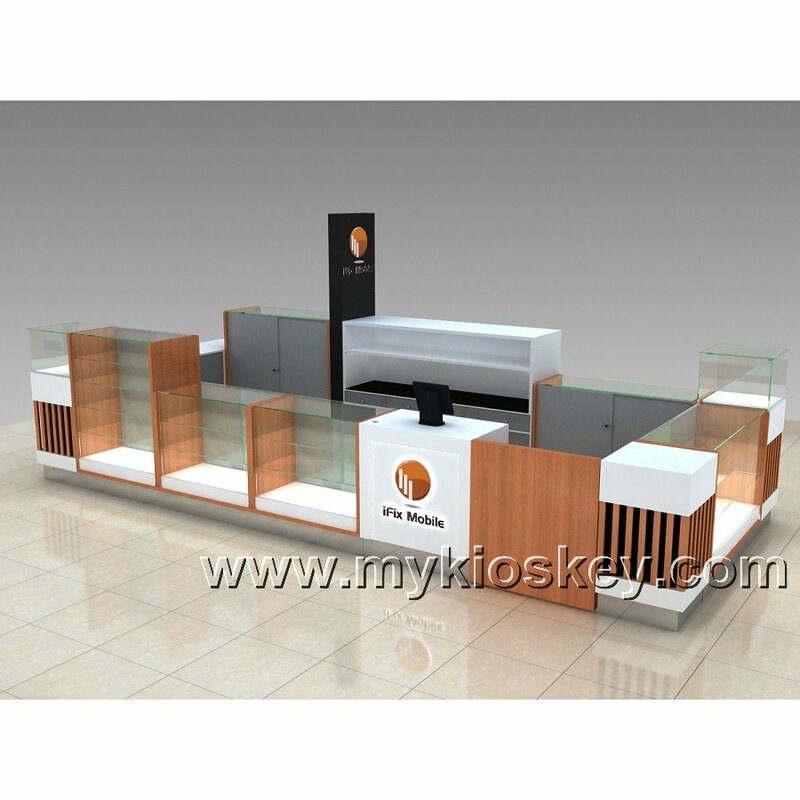 What material do you use for sunglass kiosk ? 5. 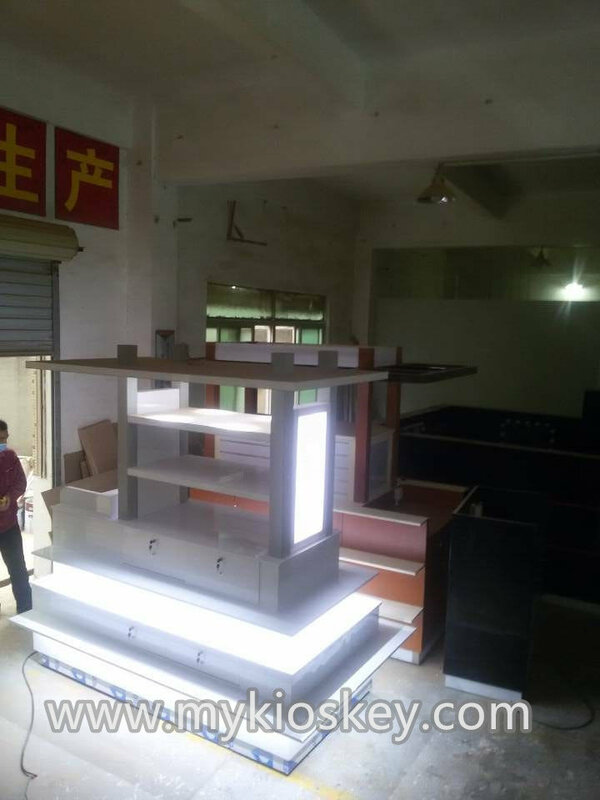 How to pack the kiosk ? Step2 EPE Foam inner packed , all around the product. .
Step3 Bubble foam each side protected. 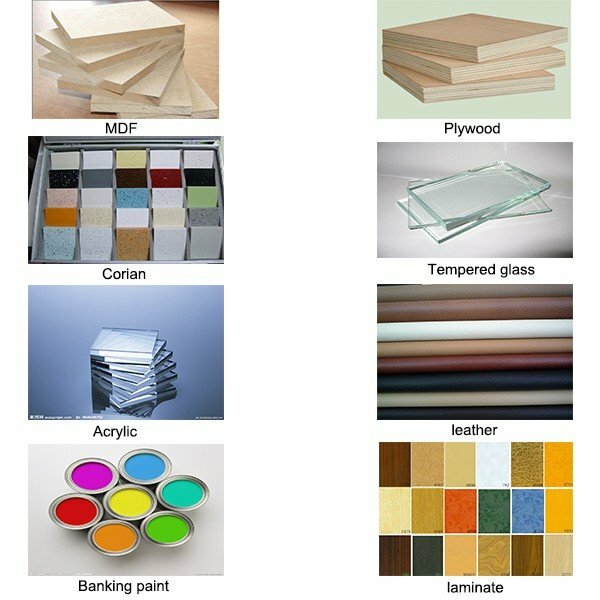 Step4 10mm MDF with 18mm plywood frame cartons..
Step5 Paint the marks on wooden carton..
Step6 All steps are designed for safe protection and long distance transportation. Step7 We will order shipment insurace for all order, the insurace is free.. Thanks for your time . more information , plz contact us as below .